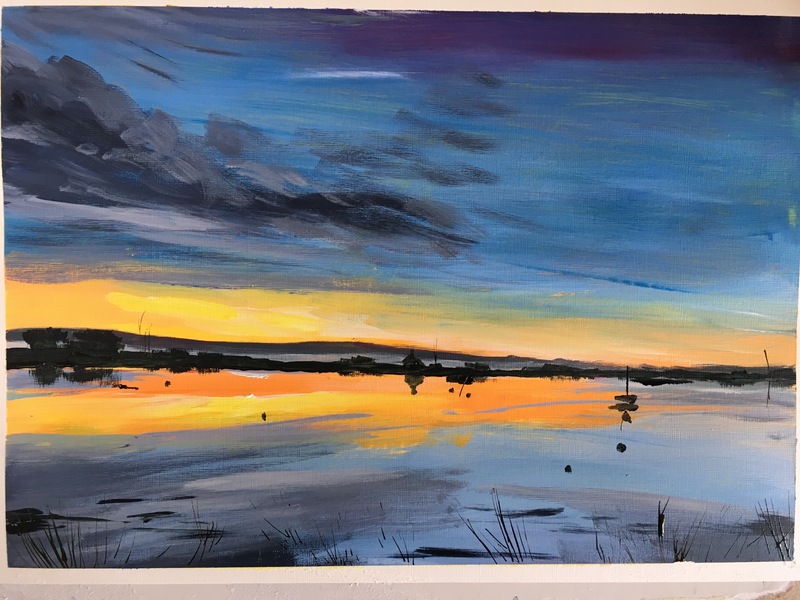 Here are two acrylic paintings of the Exe Estuary at Topsham taken from two of the many photographs of Topsham sunsets posted on social media. 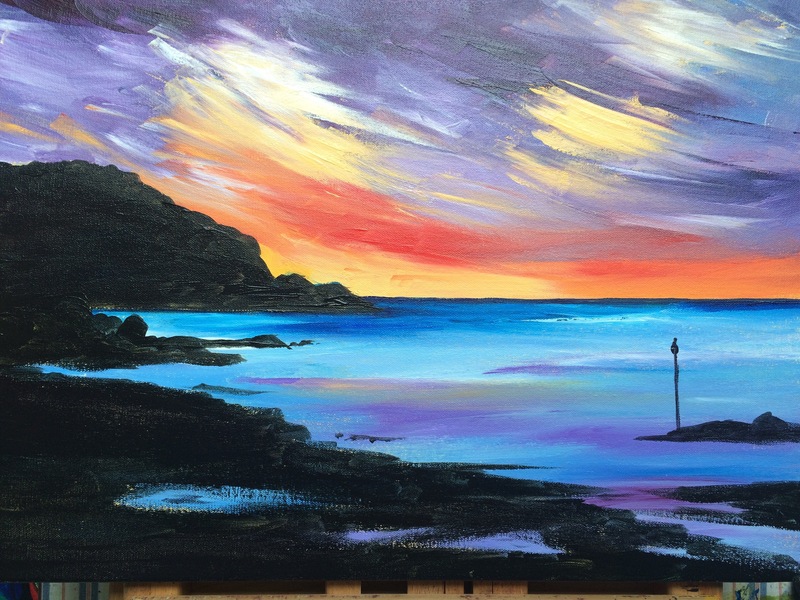 A painting demonstration in acrylic. A typical scene on the river Exe at Topsham. So many wonderful sunsets. 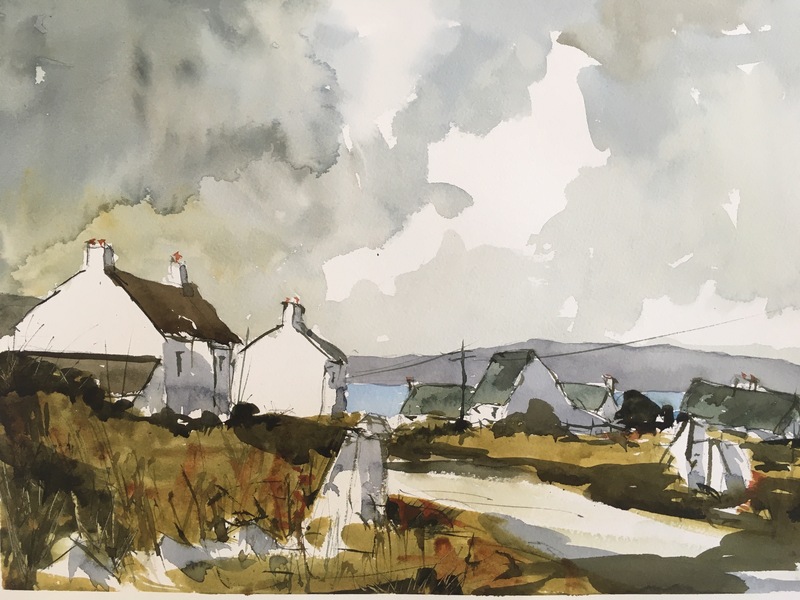 I now go regularly, most Monday’s to paint with a group of artists in the Alphington Community Centre on the outskirts of Exeter. 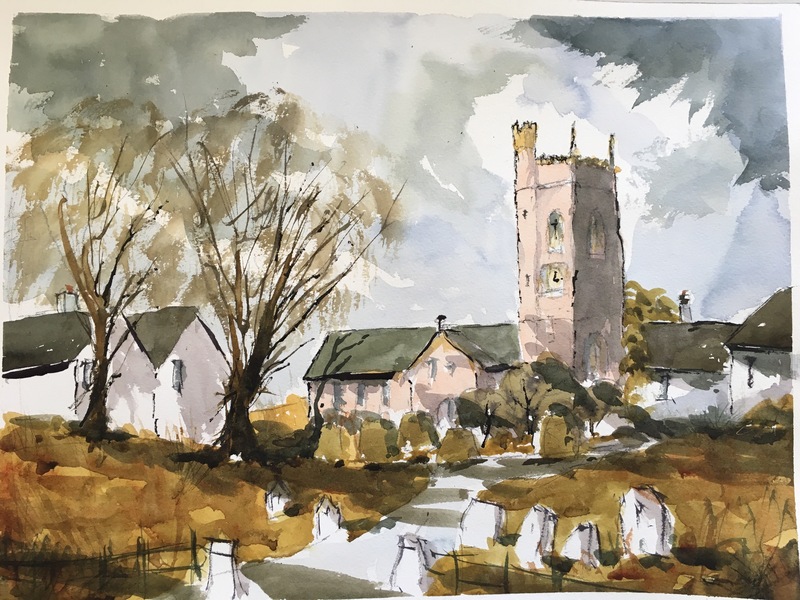 Here are two watercolours, Irish cottages and Alphington Church and an acrylic of a Topsham sunset. 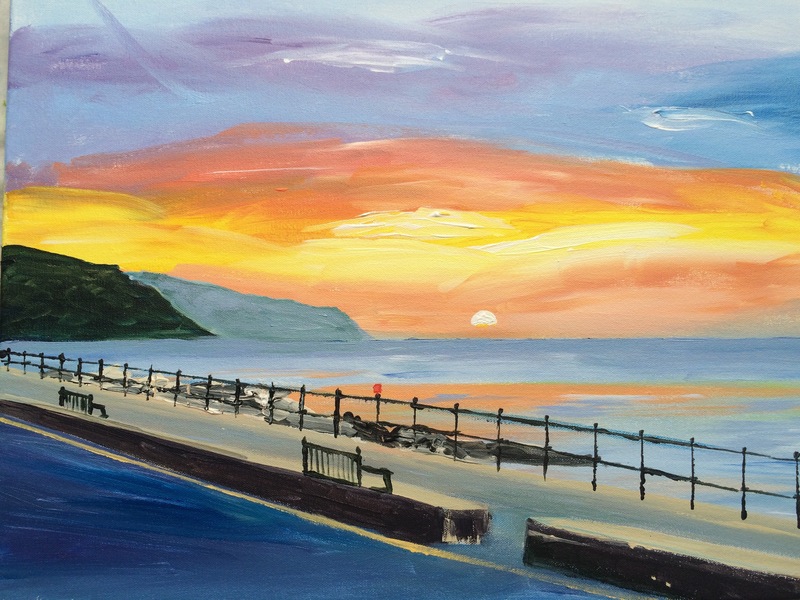 Having not painted in acrylics for a while, I had good fun last week painting two colourful Devon scenes- a sunrise in Sidmouth , just down the road and a sunset in Combe Martin in north Devon.